We have added another one day camp! This camp will be focusing on offensive skills, really working on base running and hitting. This camp is open to 1st through 6th grade kids. The age group of 4th-5th-6th will be from 9-10:30am and then 1st-2nd-3rd age group will be from 10:30am-12:00pm. The camp will be Tuesday, April 3rd 2018. 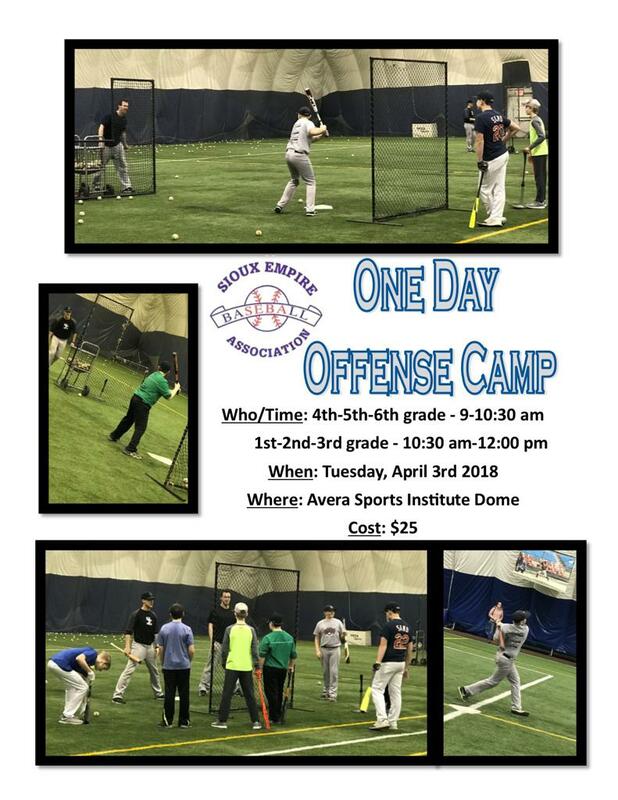 It will take place at the Avera Sports Institute Dome and the cost will be $25. This camp is limited to the first 24 kids, so register now!